Citizens played an active role in defining the smart city plan through, focus group discussions, one-on-one meetings and social media interaction. A MyGov portal was set up to assess priorities for the pan-city initiative, vision, and selection of one area for area-based development. The themes identified were voted upon to understand the priorities for the city, and the vision statement and goals were developed in accordance. Citizens expressed their priority sectors as heritage, culture and identity; toilets and sewerage; solid waste management, safety and urban transport, and mobility. In Smart Cities Challenge Round 1, 30,000 feedback forms were collected from citizens on vision and goals for Agra Smart City, after a series of presentation, debates and essay competitions in schools, colleges and NGOs. In Smart Cities Challenge Round 2, focus groups were conducted with self-help groups, Archeological Survey of India, Doctors Association, Industry Associations, Vendors Association, Hotelier’s Association, Municipal Councilors, state and local government agencies, tour guides and local artisans. 1,12,271 suggestions on vision were received from Agra citizens expressing the theme that best depicted their vision for Agra. The MyGov portal collected over 6,71,000 responses and 14,000+ comments in the 'Discuss' section of the MyGov website. Agra Nagar Nigam’s (ANN) website gathered around 3,60,000 votes on vision, site selection and pan city initiative. Around1.3 lakh suggestions were submitted on ANN's website. Awareness about the campaign was made through a special “Idea Camp”, workshops, advertisements and tear-away forms in the newspapers, press conferences, radio announcements, news clips on TV channels, banners and hoardings, social media groups. 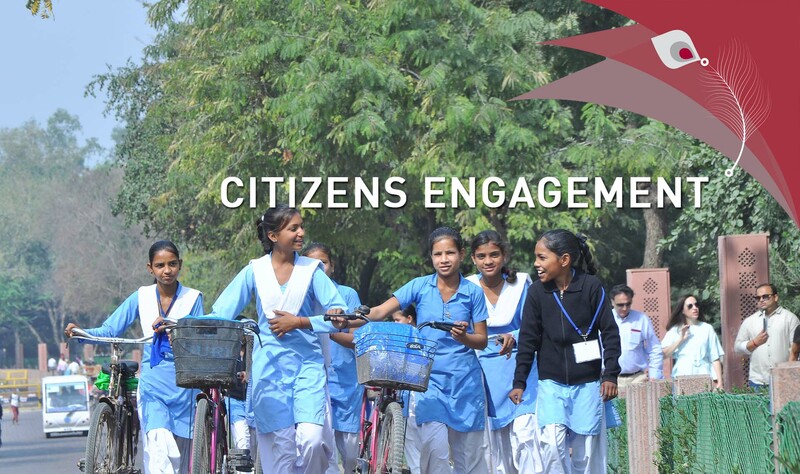 Awareness was created amongst Agra citizens regarding Smart Cities Mission and their participation was sought through newspapers, ‘Idea Camp’, cyclothon and ‘Run for Agra’ events, human chain, and leadership talks by the Mayor. Guides for participating on MyGov website were provided through bulk SMS, video tutorials, print media and on ANN's website. To understand the city's development priorities, FGDs and meetings were held with academicians, technical institutes, industry associations, hoteliers’ association, doctors’ association, vendor association, AFMEC, tourists, NGOs, SHGs, and other local groups. Discussions were held with government agencies to identify the needs of the city. Essay competition was organized to recognize youth views of ‘SMART AGRA’. Citizens were also welcomed to reach out to the smart city cell at ANN to provide their opinion.